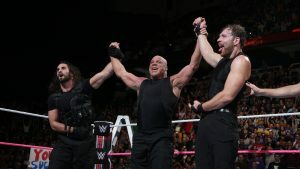 TLC 2017 Recap – The Architect, The Lunatic & The Hall of Famer « Believe-In-Rollins.com | Your Most Dedicated Source for Seth Rollins! We get a short interview with Seth & Dean on the pre-show where they look exceptionally confident. 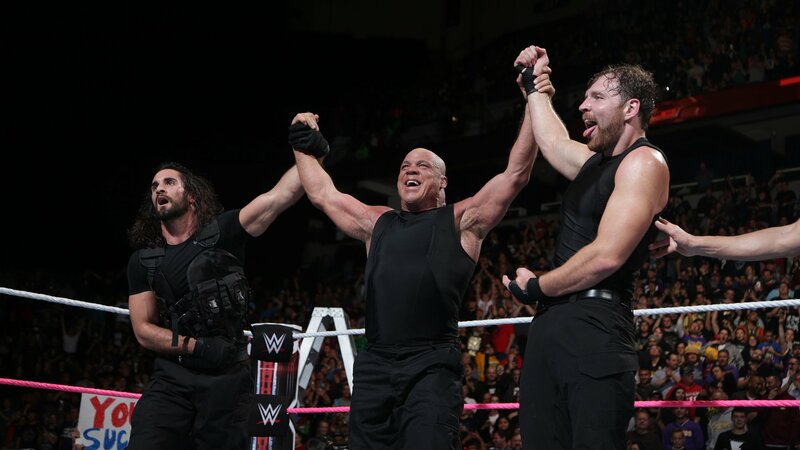 Seth and Dean are unsure what Kurt Angle has to bring to the table, but Dean says it doesn’t matter if he has nothing left, when he comes to the ring with The Shield he will give it his all. They also refuse to reveal their strategy on a pre-show. Seth is also questioned on how he “contains” Dean Ambrose. Seth chuckles and replies that “you don’t contain it, you unleash it.” Seth says that Dean is in his element with these matches. We finally see Seth and Dean approach Kurt Angle in the locker room area. Kurt immediately tells the two that he will give them everything he has left. Seth and Dean reply that they did not come to discuss strategy. They tell Angle “we came to give you this,” and hold out a vest. Angle takes the vest looking extremely happy as Dean and Seth leave the locker room. *Full HD Screencaps Coming Soon!